Megan Duncan, YA Author: Call Me Crazy! ..No seriously, do it! Apparently I think I can work a full-time job, be a wife, go to college, AND be an independent author. By the end of 2011 I want to have at least 4 books published. Is that a bit ambitious? Probably. Am I going to try to do it anyway? Of course! I have had some revelations as of late (most of them while I am driving to or from work, yes I should probably focus on my driving a bit more) and I am really excited about my writing and seeing my first book for sale on Amazon, and then my second, and my third and so on. I am slowly finding my niche in this whole indie/blogger/twitter etc etc world, and I am becoming more and more invigorated to continue my dream. With my first book Released, not far from completion of its first draft, I am eager to get the ball rolling on the publishing end of it. 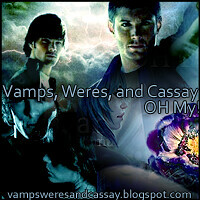 I am also eager to start writing my vampire series, as well as outlining the second book for the vampire series. Within the coming weeks, I plan to have Released finished and ready for Beta, a book cover ready for reveal and a large cup of java for the beginning of writing my vampire series. I am excited to hear what everyone thinks of Released and hope they all like it as much as I do. Even though it is scary to put myself out there, not doing it and always wondering "What if?" would be a far worse fate. That sounds like a busy schedule... not something I think I could handle as blithely!! It's really exciting stuff isn't it? I've been waking up at like 4:30 or 5 am every morning with my mind racing, thinking about my books, publishing, checking sales, just being pumped and happy to get going every day. I'm happy that you're feeling it and working with that momentum. Keep it rolling! Ha ha, so true gniz! I actually have that tweek ready for ya, as well as some other crazy brain ideas of mine for ya, I just don't have your email. If there is a way you would like for me to send that information just let me know. I have the same responsibilities as you, how in the Heck do you find time to get 4 books out this year? Please teach me your secrets! I am very proud of you for having such exciting goals. It is crazy how once we get started working on one story, another one comes to mind and wants to take precedence. I have a couple that I have been tinkering around with in my head. And, that doesn't include the sequels to this first book! I need to get my writing schedule to match yours more closely. Maybe I could shoot for 3 books this year instead of 2. Thanks for sharing your enthusiasm and determination! So, do you have your cover done yet? I feel exactly the same Angeline, I have so many ideas fluttering around in my noggin and I am so excited about getting them down on paper. My only secret is seclusion and I guess... scheduling. I have my own room to write in, (I share it with the cat of course) and I make myself a priority that I MUST write, no ifs ands or butts. I usually give myself at the very least one day a week where I do nothing but write, and throughout the week I do what I can when I can. As for the cover, I did make one myself, but have yet to buy the rights for the image. I may try to just get some feelers out for other artists and see what they can think up or I may use what I have. Ok, you are crazy, but then again, so am I. It's a good feeling to be finished with a novel and to start in on another one. I am not sure my first will ever be published, but I do know my writing is improving. I look forward to reading Released. Keep up the good work. Hey, if there is anyone that can do it, it's you. Are the books going to be related, or completely different stories?